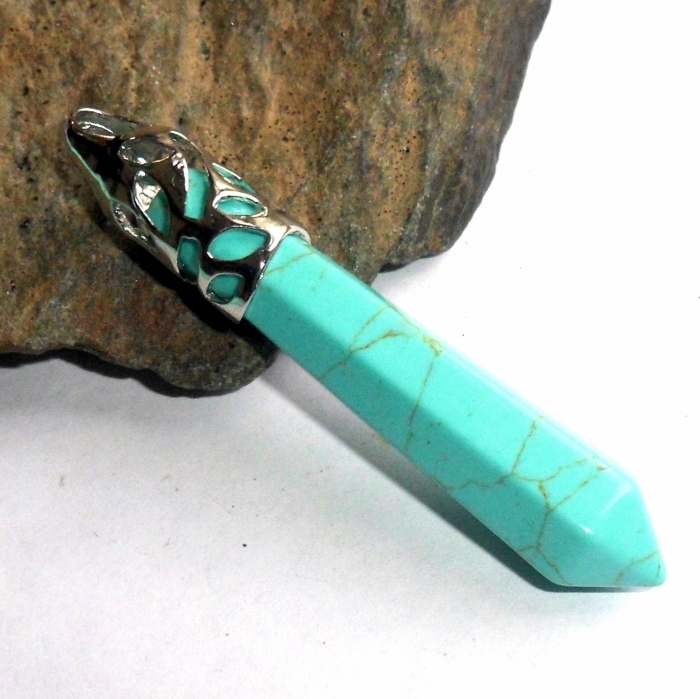 Turquoise colored howlite wand shaped pendant set in a silver plated bail. 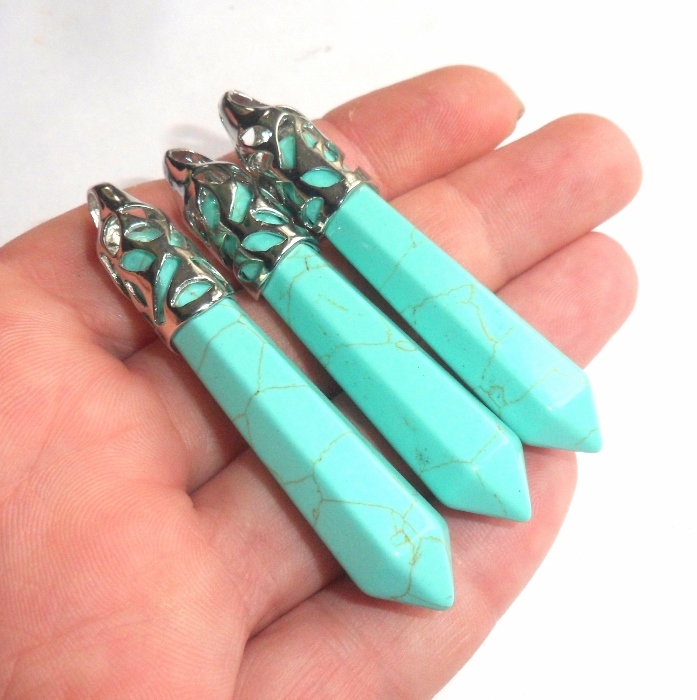 Howlite is a stone of surrender and new beginnings. It promotes positive change and new discoveries. 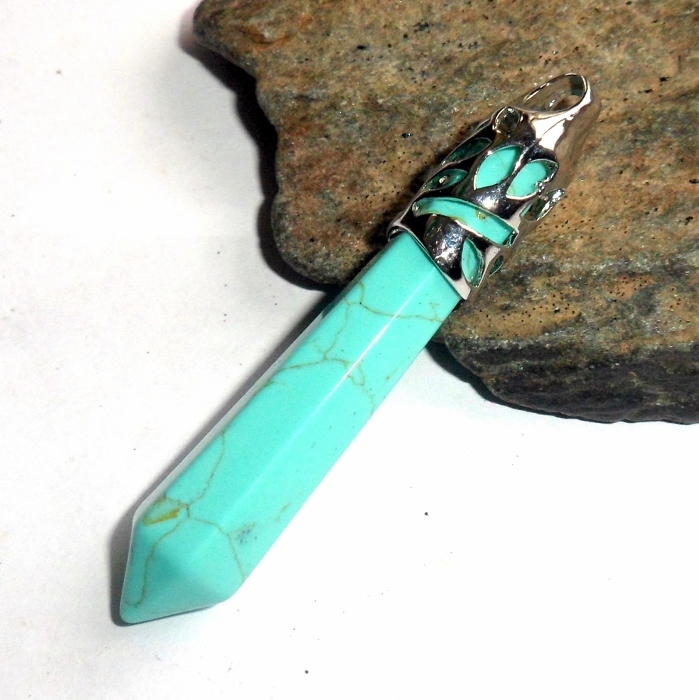 It aids in creating new paths and adventures. Wands range from 2 3/8 inches to 2 1/2 inches long and have a 5 mm bail hole.